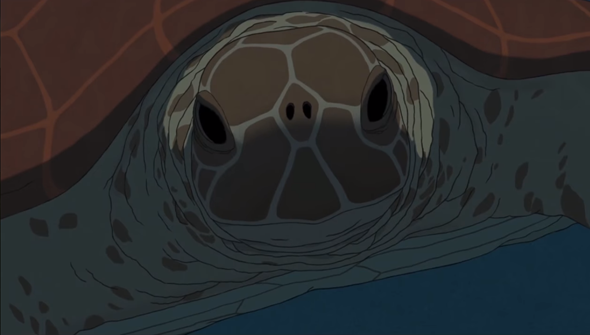 It's been a big week for Michael Dudok de Wit's first feature The Red Turtle. The film, which was co-produced by Japan's Studio Ghibli and French production company Wild Bunch premièred at the Cannes International Film Festival, where it was the only animated film in competition. Later in the week it was announced that Sony Pictures Classics would release the film in the United States, Canada and Latin America. Now to put the icing on the cake, the film has been awarded the Special Jury Prize in the Un Certain Regard category. The films nominated in the category are eligible for numerous awards, with a top prize being accompanied by awards for director, and screenplay. The most prestigious award at the festival may be the Palme d'Or, but the 'Prix Un Certain Regard" is designed to recognise "young talent, [and] innovative and audacious works". The awards exist in parallel to the Palme d'Or and are picked by a different Jury from the main event, made up of film journalists, students of cinema and industry professionals. Dudok de Wit's film was produced in collaboration with Studio Ghibli, with the legendary Isao Takahata acting is "creative producer" on the film. It features the trials of a man shipwrecked on a beautiful tropical island. The dialogue-free film will be released in Japan in September and be later released in North and Latin America by Sony Pictures Classics, although no date has been announced at this time. It will also be the opening film at the Annecy Animation Festival this June.